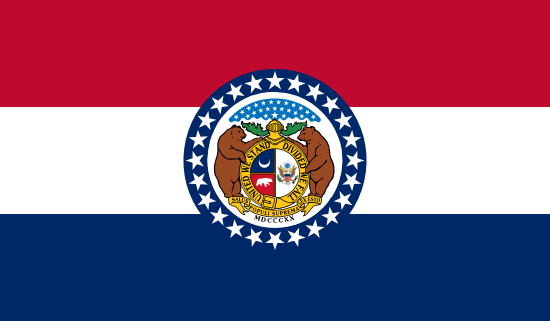 Missouri has always been an important geographical point in the United States, and it has served as the launching point for such important names as the Oregon Trail, Santa Fe Trail, and the Pony Express. The state is also well-known as the home of Branson, a tourist destination that draws visitors from across the nation. While Missouri has a lot to offer, sports betting isn’t among the more notable attractions. Federal and state laws have prohibited traditional sports betting and bookmaking, forcing residents to constantly be on the lookout for ways around these restrictions. Online gambling remains a convenient and legal workaround, while those who are unconcerned about the law can make wagers with friends or track down an illegal bookie. No matter what course of action you decide to take, please keep in mind that any illegal activity can result in a fine and possible jail time (not to mention public humiliation). Before you embark on your new career as a professional sports gambler, I suggest sitting down with an attorney who’s well-versed in Missouri law and learning about all the options available to you. Only then can you proceed in safest manner possible. Nevada remains the only state where face-to-face sports betting is openly legal, but many have found that placing wagers online is ultimately more convenient and profitable. This is always an option for residents of Missouri, as the state has no laws prohibiting Internet gambling. If you decide to do your betting via the Internet, there are two factors you need to pay attention to. First, you need to determine if the site accepts U.S. customers, which has become less common following the 2006 passage of the Unlawful Internet Gambling Enforcement Act. Secondly, it’s important to locate a reputable online bookie, as some sites are more interested in ripping customers off than paying them. Missouri has an abundance of professional sports teams operating within its borders. Whether you’re interested in betting in the NHL, MLB, NFL, or MLS, the “Show Me State” has you covered. Basketball fans are out of luck, however, as there are no NBA franchises in the state. In addition to their six major franchises, the state of Missouri also has a number of pro and semi-pro squads. You’re not likely to find a bookie offered odds on their games, but there’s always the option of making face-to-face wagers with supporters of a specific club. The following are active of this writing, but keep in mind that these smaller organizations are far more likely to fold than their big league counterparts. • Missouri State University – The second largest university in the state, MSU can trace their athletic program back to 1908. They currently sponsor six men’s and 11 women’s varsity teams. Their men’s soccer team has made three NCAA tournament appearances, while their women’s basketball squad has reached the Final Four on two occasions. • University of Missouri – Columbia – Also known as Mizzou, this public university started in 1839. Their athletic teams, known as the Tigers, compete in the Southeastern Conference, and they’re also the only school in the state to have all their athletic programs competing at the Division I level. The men’s basketball team has 22 NCAA Tournament appearances, although they’ve never managed to advance to the Final Four. The football team has won 15 conference titles and assembled a 15-16 record in bowl games. • University of Missouri – Kansas City – The school competes in 16 sports for men and women, and their team name is the UMKC Kangaroos. While their men’s basketball team advanced to the NAIA postseason tournament in 1977, they’ve yet to qualify for postseason play in the NCAA Tournament. • Southeast Missouri State University – The Redhawks moved up from Division II in 1991, and they field 13 varsity teams for men and women. Despite the difficulties of moving up to Division I, the men’s basketball team managed to qualify for the NCAA Tournament in 2000. The football team has also struggled, as they only managed to put together three winning seasons from 1991 to 2010. • Saint Louis University – The oldest university west of the Mississippi River, SLU was founded as a private research university in 1818. The school has 16 varsity sports programs for men and women, and their team name is the Billikens. The men’s basketball squad has reached the NCAA Tournament eight times, and their men’s soccer team holds the record for the most post-season tournament appearances. In the latter case, the team has also managed to win 10 national titles. While traditional sports betting is illegal in Missouri, bettors can still get their fix by heading online and finding a reliable bookmaker. There are no specific state laws prohibiting online gambling, and the biggest challenge is finding a virtual bookie that accepts U.S. customers. For those who are computer illiterate, there’s also the option of tracking down an underground bookie or placing wagers with friends and co-workers.